The Partnership’s annual cattle breeding symposium continues to provide a vital forum for innovation and investment opportunities in cattle breeding. 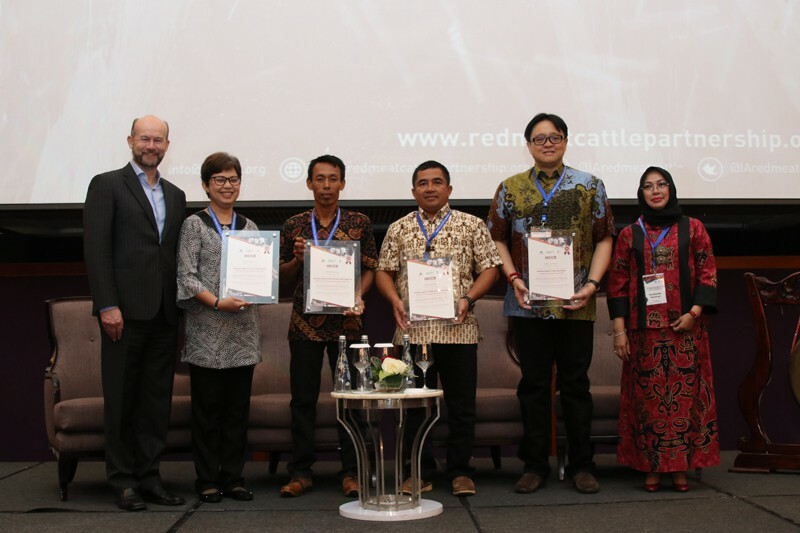 The Partnership invited more than 200 industry practitioners and academics to convene at the Indonesia Australia Cattle Breeding Symposium at the Raffles Hotel Jakarta on 12 September 2018. Ms Musdhalifah Machmud, Deputy Minister for Food and Agriculture at Indonesia’s Coordinating Ministry for Economic Affairs, praised the symposium as being concrete proof of cooperation between the cattle industries of Indonesia and Australia. Ms Machmud highlighted that Indonesia had imported 480,000 cows from Australia in 2017 and 164,042 cows from January to June 2018. She added that Indonesia is aiming for food self-sufficiency, with red meat as one of the main commodities. “We need to optimally develop cattle breeding in Indonesia and address the challenges that hamper the (cattle) farming industry,” she said. Mr Allaster Cox, Charge d’Affaires of the Australian Embassy in Jakarta, supported Ms Machmud’s comments. He reminded symposium attendees that Indonesia and Australia have had longstanding and successful two-way trade in the sector, with the live cattle trade amounting to A$620 million per year. “Australia is a reliable supplier of high-quality beef into the Indonesian supply chain, enabling value-adding through feedlots and helping to ensure stable beef prices for the growing demand from Indonesian consumers,” Mr Cox said in his opening speech. The symposium, held in cooperation with the Indonesian Society of Animal Science (ISPI), also bestowed certificates of achievement to four Indonesian cattle breeding enterprises. The four enterprises are Indonesian farmers’ groups and cattle breeding companies across Indonesia: PT Buana Karya Bhakti in South Kalimantan, PT Kalteng Andinipalma Lestari in Central Kalimantan, Sentra Peternakan Rakyat Megajaya in East Java, and PT Bio Nusantara Teknologi in Bengkulu. The supply of livestock marked the achievements of the four operations after more than 18 months of partnership with the Indonesia Australia Commercial Cattle Breeding Program (IACCB). Each was successful in pursuing herd productivity, controlling costs, and managing the broader environment to be commercially sustainable. Expanding on this theme of commercial sustainability, Mr Wisnu Wijaya Soedibjo, Deputy Chairman for Investment Cooperation of the Indonesian Investment Coordinating Board (BKPM) and the Indonesian co-chair of the Partnership, reiterated Indonesia’s pursuit of more sustainable business models in the red meat and cattle sector. “Indonesia has tremendous potential in this sector. However, it is unfortunate that investment in the cattle sector is still very low,” Mr Soedibjo said, noting that investment for the cattle sector was only 0.32% of total domestic investment in 2017 and 0.48% of foreign investment in 2016. Mr Soedibjo invited investors to help achieve Indonesia’s targets of increasing the cattle population and expanding trade and investment to other countries. The symposium ended with a networking session and a visit from the Northern Territory Minister for Primary Industry and Resources, Mr Ken Vowles, MLA. At the Indonesia-Australia Cattle Breeding Symposium, Ms Musdhalifah Machmud, accompanied by Mr Allaster Cox, launched the Partnership’s new website and social media channels. The website (http://redmeatcattlepartnership.org/) will serve as the main mechanism for sharing information with the public, providing up-to-date details on the Partnership’s programs and publications as well as calling for tenders and outlining employment opportunities. 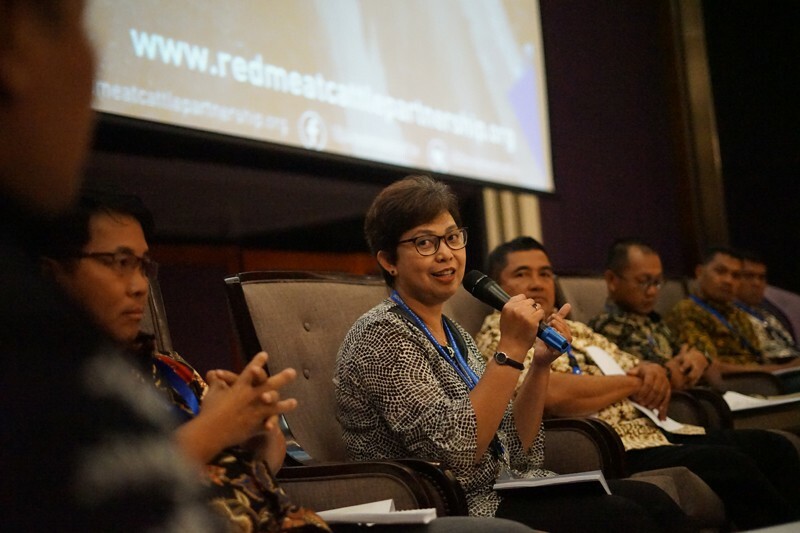 The Partnership’s Facebook page (https://www.facebook.com/IAredmeatcattle/) and Twitter account (@IAredmeatcattle) will be used to engage a variety of stakeholders and the general public in both Australia and Indonesia, including academics, youth, and associated industries. These social media platforms will also provide coverage of the Partnership’s news items, current events, and special activities.